This edition focuses on increasing funding for existing users, with reference to the 100% invoice funding options that are now available, and the option of funding the excluded debts outside of your existing invoice finance arrangement. We also have a spotlight article on Close Brothers Invoice Finance, 5 time winners of Best Factoring & Invoice Discounting Provider at the BMF Awards. Finally it includes some positive feedback from one of our clients, help starting a new recruitment agency, and a piece about financing car crash repairers. 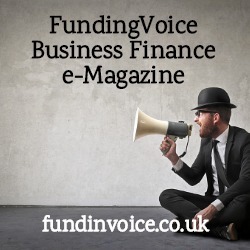 Please subscribe to FundingVoice to ensure you receive future editions.